I've recently come back to the hobby after many years of hiatus (spurred on by seeing just how awesome Cavalier's Corsairs are, among many others), but my army of choice always was (and always will be) Eldar of any sort. So, without further adieu I'll get started on the armies! Craftworld Angvellaith (contraction of Angau Vehk Agaith, meaning 'Doom of the Dread-Faced Ones', referring the mythical victory over one of the ancient enemies of the eldar). The early days of craftworld Angvellaith were unremarkable. Leaving sometime during the middle of great exodus from the eldar homeworlds, it set off into the void alongside dozens and dozens of other craftworlds. For centuries, while others fell, the keen foresight of its seers and the might of its warhosts protected its citizens from the very worst the galaxy could offer. However, all skiens of fate appeared to converge in tragedy for the Angvai. Despite all their efforts, the rotting plague-ships of the Death Guard descended upon their home. Through valient effort and harrowing sacrifice, they repelled the foetid tide. However, like Iyanden their population was decimated. Listless and broken, they drifted through the void awaiting their death. However, all was not lost. Through the webway, a cry for help echoed out from the exodites of Selestini (my exodite world), who likewise were under assault from the followers of the Plaguefather. Throwing what was left of their warhosts into the fray, they managed to turn the tide against the children of Nurgle. This marked a turning point in the attitude of the Angvai. No longer were they content to fade away into obscurity. In a great council, their eldest and wisest seers developed a radical plan. Through the susserus of their innumerable dead within the infinity matrix, the unborn god Ynnead had made his presence known, and the eldar of Angvellaith welcomed him. They struck a dark pact with their Commorite cousins, exchanging safe harbour in realspace and the industrial resources of their craftworld for access to the cloning vats of the Haemonculi. Through arcane and eldritch technomancy, they rebuilt their shattered warhosts. Their Guardian forces are comprised entirely of cloned conscripts, who follow the unique Path of the Warborn. These forces are thrown against their enemies with no heed to their survival. If a Warborn survives their tour of duty, they are gifted a name and inducted into Craftworld society as a true citizen. If they fall in battle, add one more soul to the chorus. 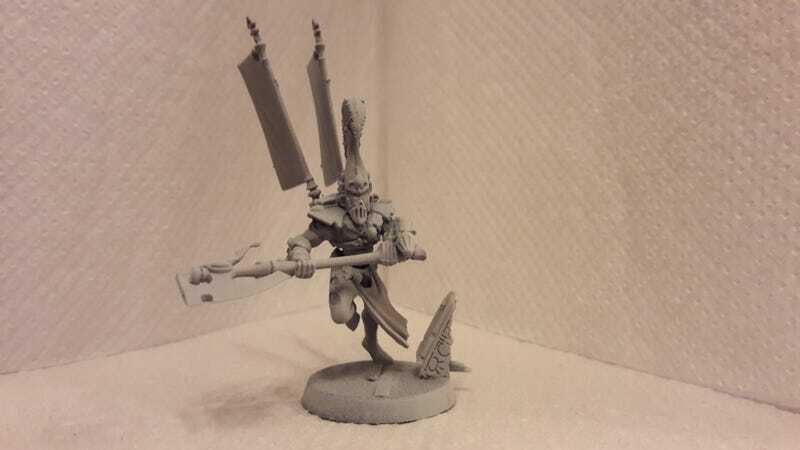 First we've got a barebones Autarch made from bitz I had lying around. 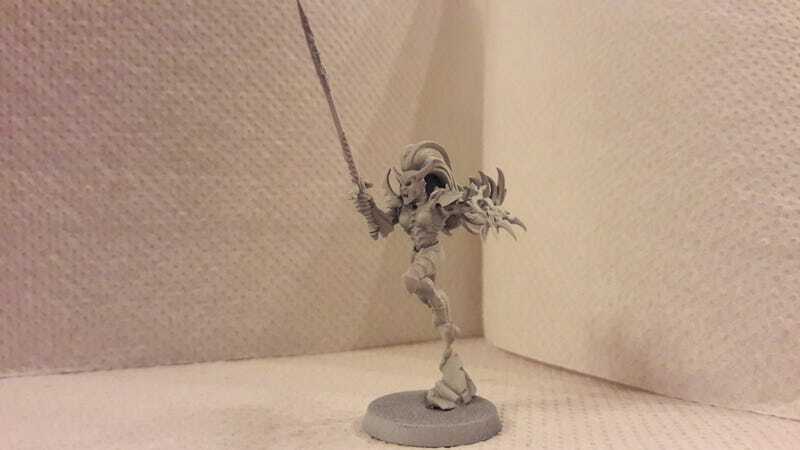 I liked the idea of a bare-wraithbone look so tried to go for that. For my last one, does anyone remember the old 3rd ed. Craftworld Eldar codex supplement? I think it was the third 40k thing I ever read, after the 3rd ed. BRB and the 3rd ed. Eldar codex. I remember being captivated by one of the special characters in there, Nuadhu Fireheart, a Wild Rider chief that fought from the back of a modified Viper. It's one of the images that really stuck in my mind. 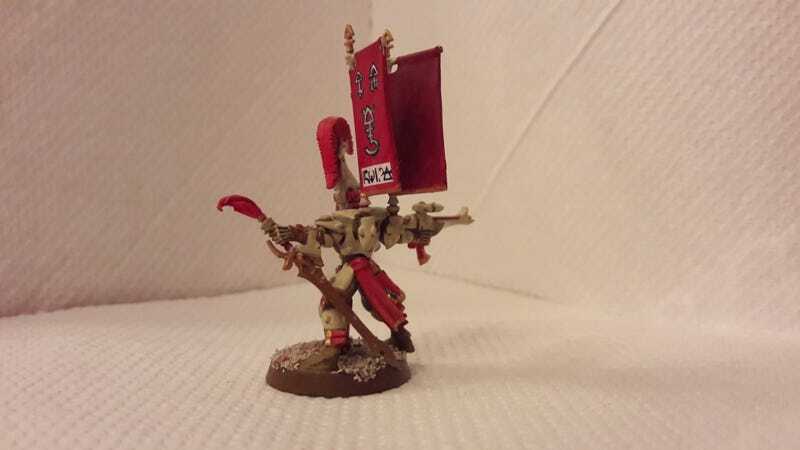 I've always liked the idea of Saim-Hann since then, and the image of wild tribal Eldar is probably what got me into making Exodites in the first place. Fast-forward a decade or so and I was having a conversation over on The Dark City forums about Corsairs and how their Void Dreamers couldn't take jetbikes. 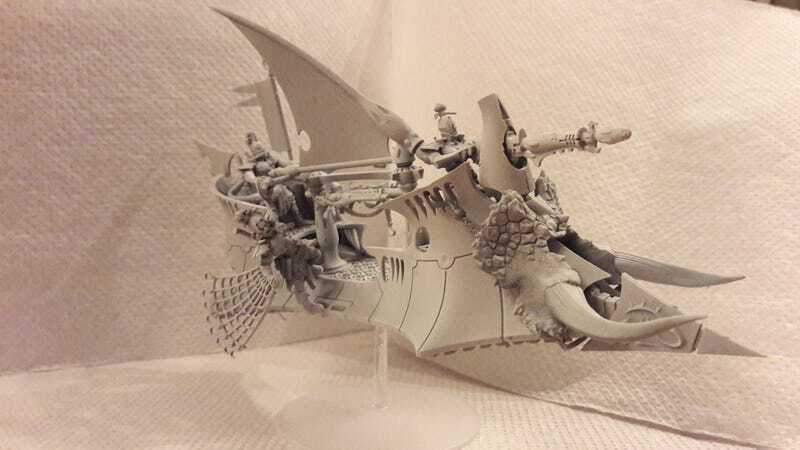 It occurred to me how odd the idea seemed of a Farseer casting fiendishly difficult psychic spells, where mucking up even slightly will cause a daemon to erupt from your brain, while piloting a jetbike at breakneck speeds across the battlefield. Isn't there those Harlequin bikes with a pilot and a rider? So, a little eBaying and rooting through the bitsbox and here we are! My jetbike Autarch! 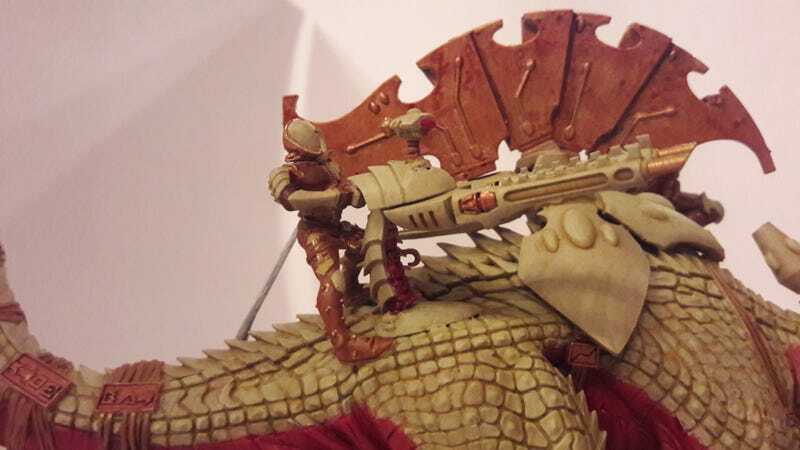 Heat lances from a Talos represent the Fusion Gun, and that kickass glaive thing from Dire Avengers is the Power Spear he's now got a Windrider head BTW but I don't have pics! I've got an idea for a Farseer as well, which should materialise at some point soon. 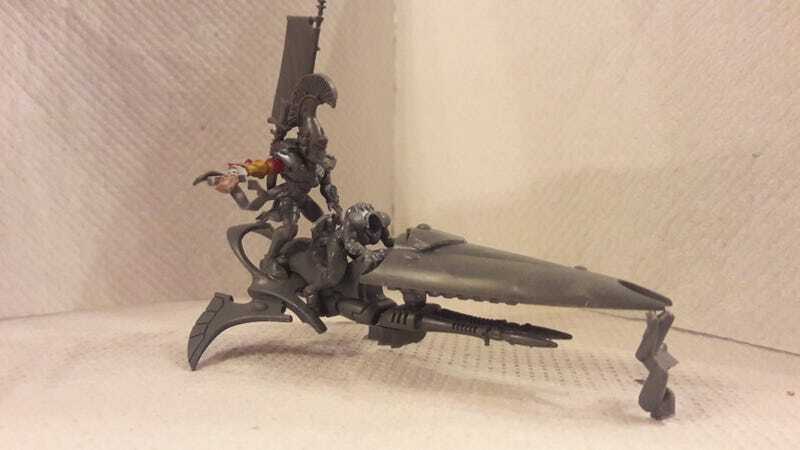 Also, all of the new Eldar jetbike models are simply beautiful. Really capture the essence of sleek, alien speed that they should have. In Eldar myth, the ravens of Morai-Heg were the eyes and ears of the Crone goddess. 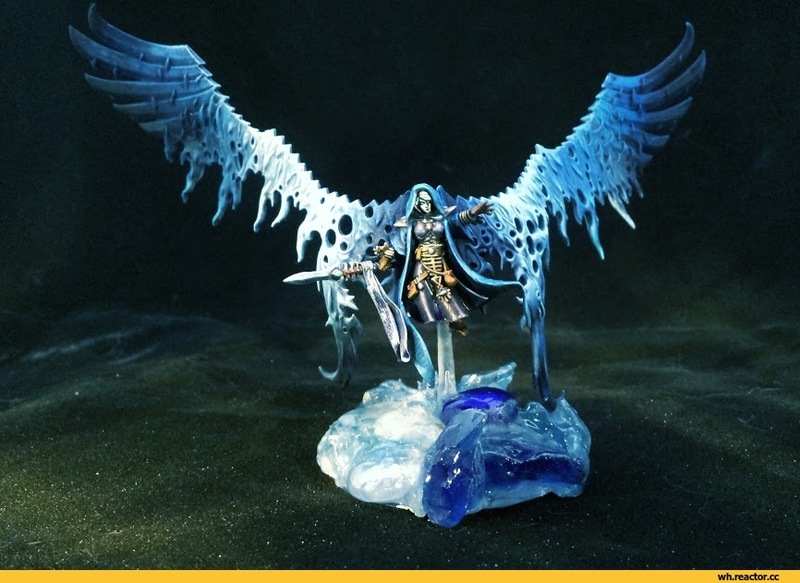 During the Fall, Morai-Heg bid her ravens to fly with Khaine and peck at the eyes of Slaanesh during their titanic battle. 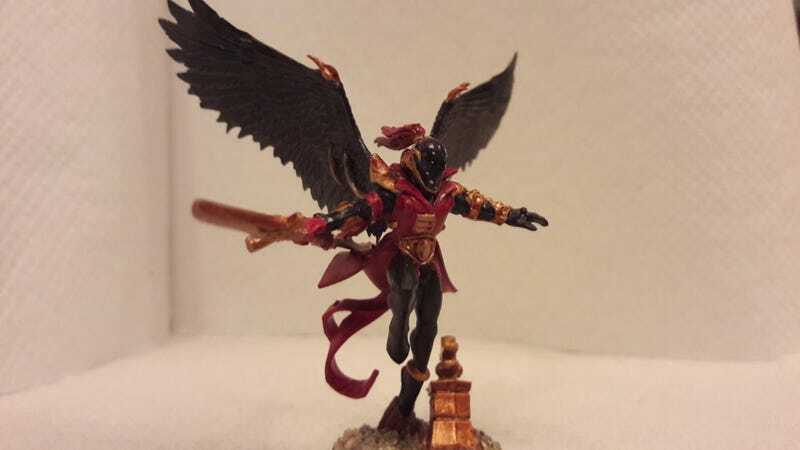 Khaine's Ravens take after these birds of legend, spying on the forces of the Ruinous Powers, and conducting surgical strikes to take out their leaders. Like Yriel, their Prince Morrathillian claims descent from the House of Ulthanash Raven-Friend. It is after this affectation that he has named his followers. Here's an older pic of the force painted (pre-Scourge wings unfortunately). I don't have a recent one yet with the Void Dreamer, but as soon as I get enough of them painted I'll do another army shot. 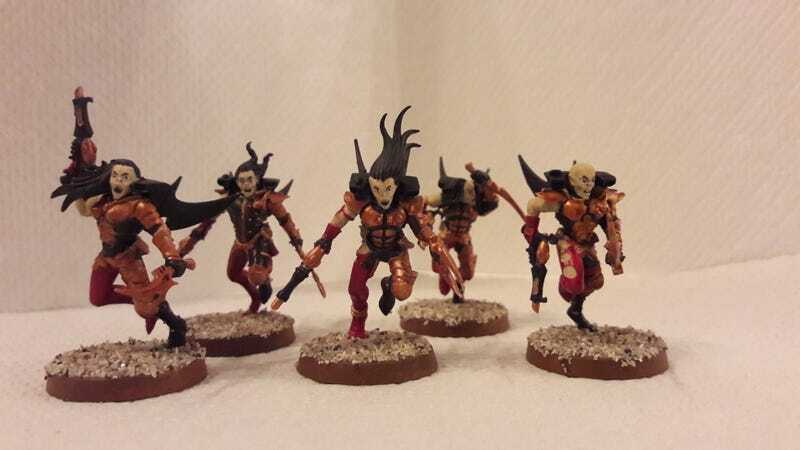 My thinking is that as their background is that they're Eldar driven mad by Slaanesh tugging at their souls, draining them dry slowly but surely, they would look more and more daemonic as the process draws to its close. It would certainly explain why all other Eldar are so scared of them at least. I've always liked the idea of Exodites, but for some reason I've always felt like what sparse background fluff has been given by GW doesn't quite fit with the feel of 40k. If they're actually 'Amish Space Elves' living a pre-industrial life, then they wouldn't last a second in today's galaxy! Similarly, the idea of a Feudal Eldar Knight-World never really spoke to me either. Not grimdark enough. Something that did stick though was the term 'Technobarbarian'. 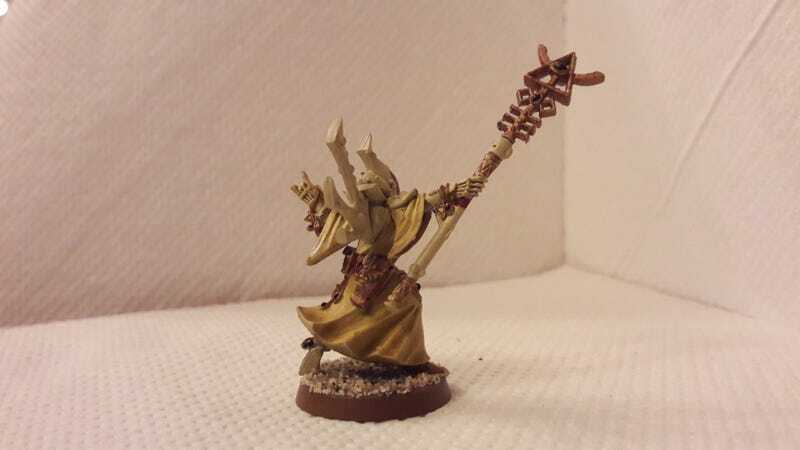 First off, we've got my 'War Wyrd' counts-as Warlock. 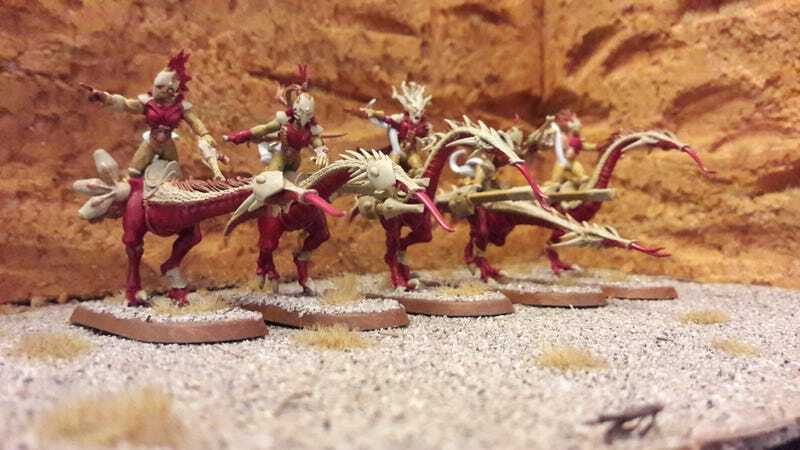 My idea (to make them a little more grimdark than 'dinosaur cowboy space-elves') was that Exodites are masters of fusing wraithbone with living tissue. Their Warlocks and Farseers actually grow their ghosthelms into their own skulls, offering permanent protection from the warp. 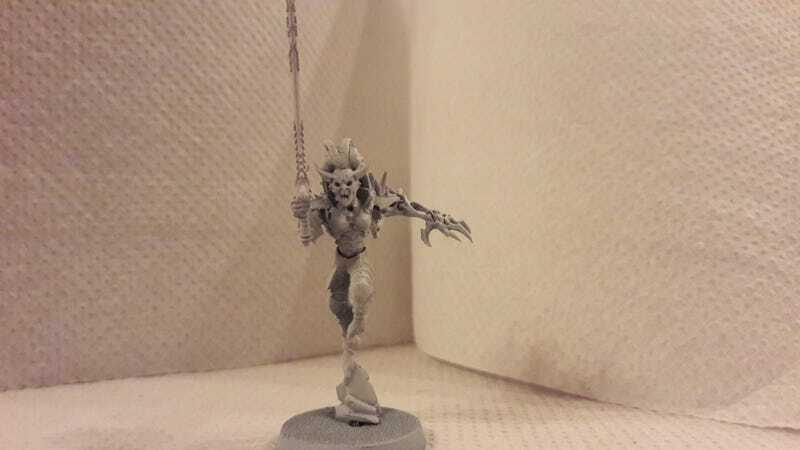 Their wraithbone is also left to grow more naturally than craftworlders, resulting in a more twisted look. 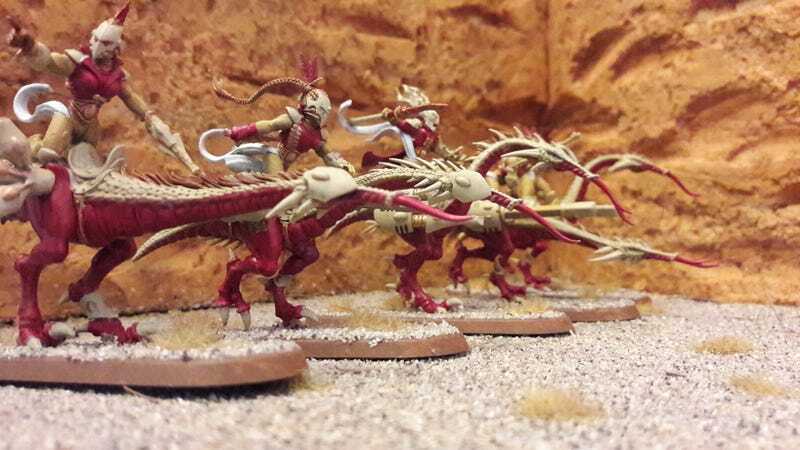 The grimdark idea I had for these was that rather than just training their dragons as beasts of burden, they embed wraithbone circuits into their nervous systems to provide direct psychic control of their beasts. 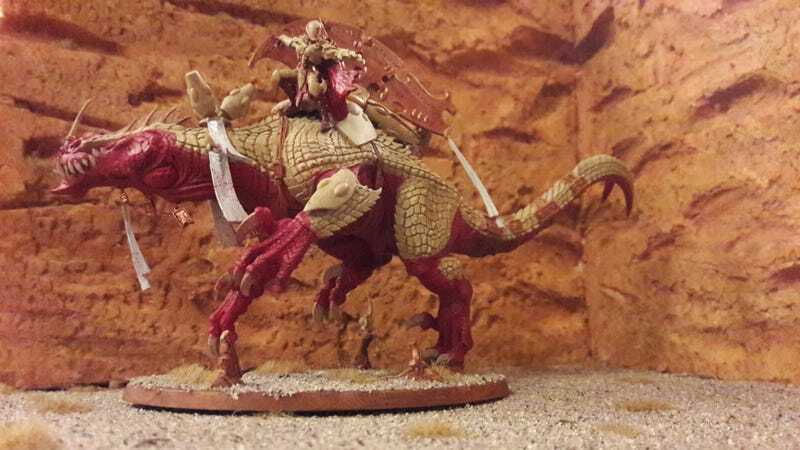 Speaking of beasts, my second Craftworld unit is a squad of Dragon Riders/Windriders. 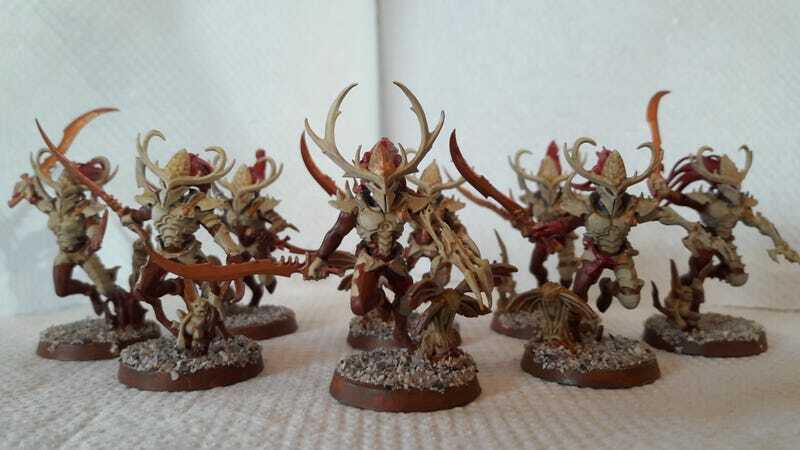 One of the big questions about Exodites is how would they protect themselves from Slaanesh? The Dark Eldar hide in the webway and have their soul-vampirism thing, but that's uniquely Dark Eldar. The Craftworlders have their Spirit Stones, but given that those are harvested from the Eye of Terror I doubt Exodites would have the military might to gather them themselves. They also have the Path system to keep them on the straight and narrow, but again that's uniquely Craftworld. 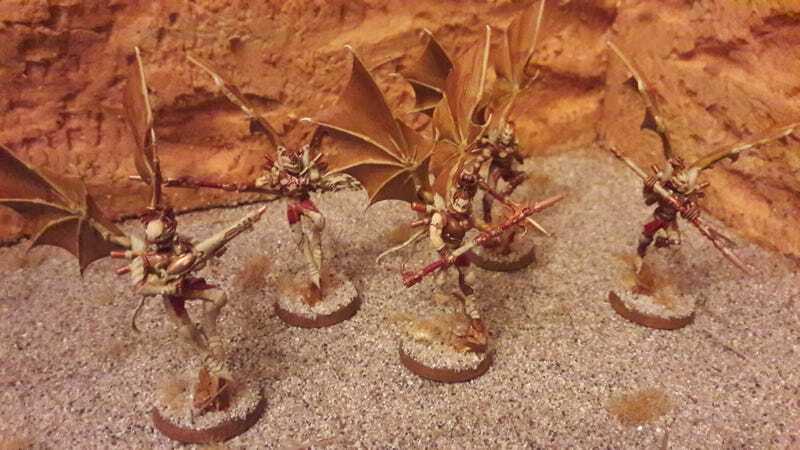 So, I was thinking that their sheer distance from the Eye of Terror, plus the psychic shielding from their World Spirits would give them some nominal protection from the predations of Slaanesh. However, the'd need a way of regulating their society. Thinking about the history of the Exodites, their great journey was led primarily by religious zealots. Since then, my thinking is that (like the rest of the 40k universe) since then they're technologically and socially regressed into barbarism. How would a socially barbaric religious culture deal with unwanted behaviour/individuals? Looking at our own history, the answer is with Witch Hunts! 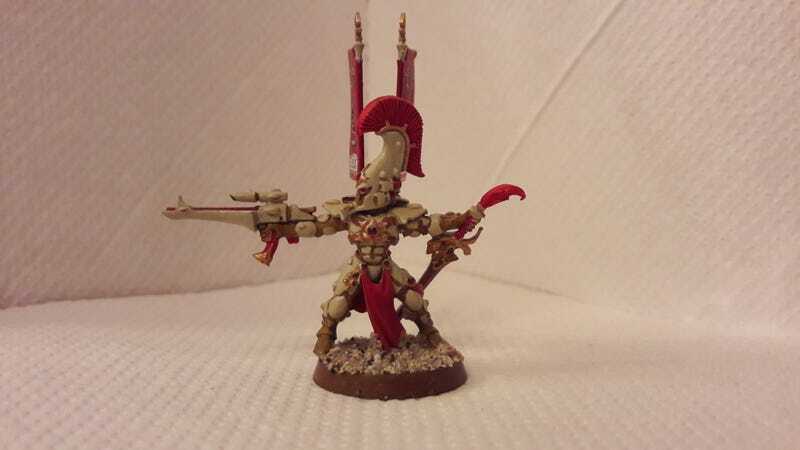 Although their god is long-dead, the Cult of Kurnous still follows the creed of the father of the eldar. In civilian life, this order of hunters polices the population for behaviour that would invite the attention of She-Who-Thirsts. If an exodite breaks the strictures of their world a wild hunt is called, and there is nowhere to hide from the Hounds of Kurnous. Although not heavily armoured, they possess formidable defences. Swarms of spites follow them wherever they go and can intercept a significant amount of incoming fire. In combat, they also lash out at their foes stinging and searing with psychically charged barbs and fangs. Thinking on from that, I thought that there would likely be a lot more religious influence in Exodite society, so set about making a couple more 'God Cult' units. The Cult of Ynnead is a relatively new cult that has developed among the guard of the wayshrines where slain exodites are interred into the World Spirit. Their silent order spends the majority of its time plumbed into their world spirit, deep in the barrows of the wayshrines. If interlopers stumble upon a wayshrine, the figures ensconced in alcoves rise from their dreaming like Draugr, ready to defend their resting dead. 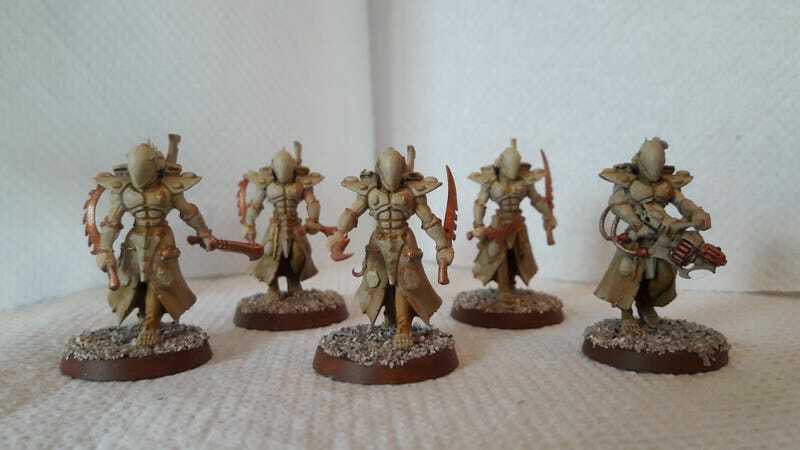 The training acolytes undertake is especially gruelling, and their pre-battle rituals involve ingesting copious amounts of the Eldar combat drug 'Painbringer' (purchased from the Dark Kin, along with their ranged weaponry). This increases their resistance to physical injury manifold, but reduces their mobility. Due to this, acolytes of the Cult of Ynnead are called 'Walkers' after their purposeful stride across the battlefield. 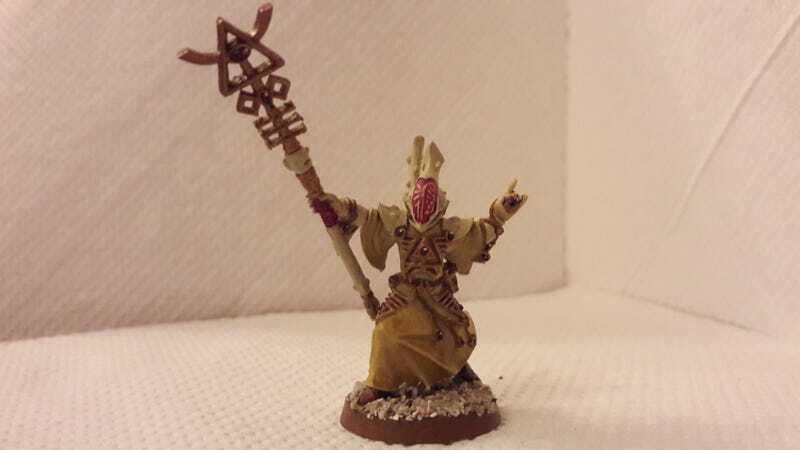 Last of my God Cults that I've made so far is my Son of Asuryan (counts-as Autarch), the Lords and Masters of the Exodite clans. They are descendants of the high priests of Asuryan that led the exodus, and rule to this day. 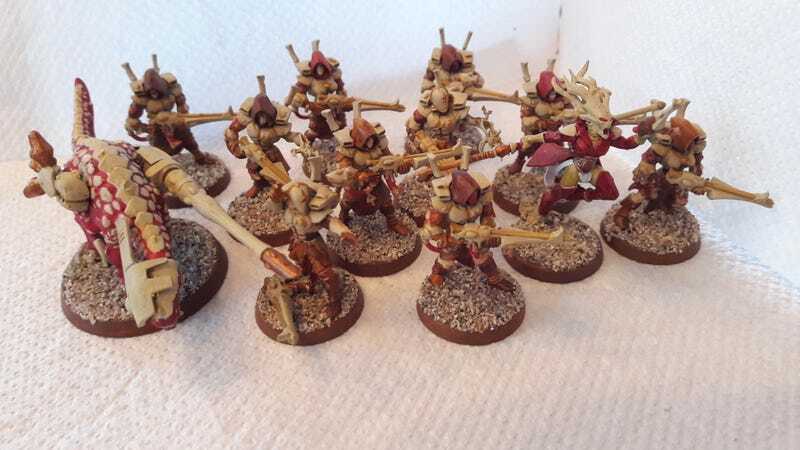 Moving on from the Craftworld units, I've got a couple of counts-as Dark Eldar units as well. 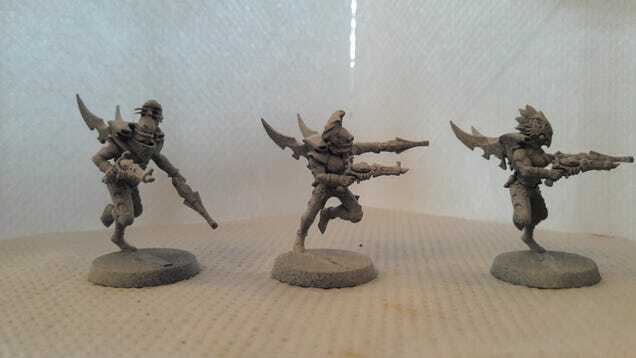 First off, my absolute favourite conversions: Exodite Hunters (counts-as Kabalite Warriors). Operating in close-knit bands and living a semi-nomadic lifestyle they prowl their worlds and their local webway vicinity, mercilessly hunting down interlopers before they can notify their superiors of the riches of the exodite's home planet. Their weapons fire shards of wraithbone at their targets which, once lodged in place, grow exponentially towards the electrical signals that eminate from organs such as the brain and heart, swiftly bringing death to their foes. But, what's a self-respecting Kabalite without his Raider? 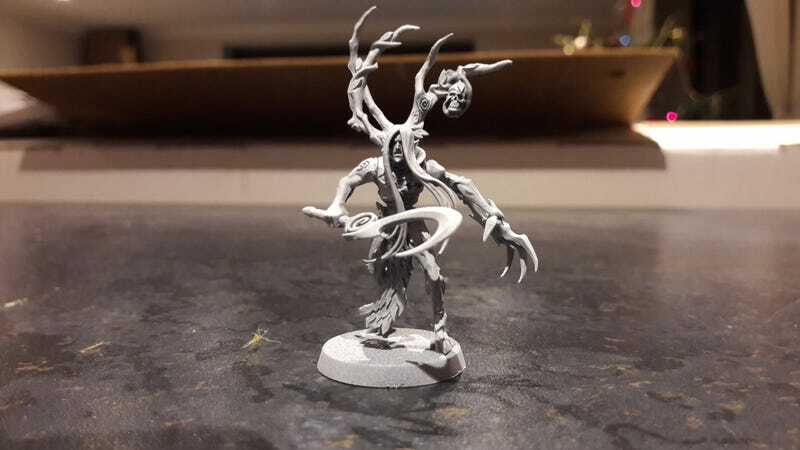 Next up we've got my counts-as Grotesques, and the kickass models that finally persuaded me to part with my hard-earned to start this army up again. 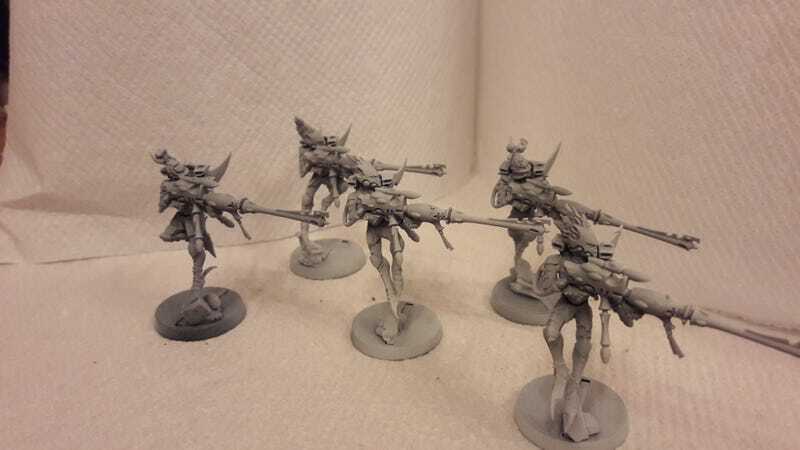 As each exodite life is so precious, the War Wyrds will go to extreme lengths to save mortally wounded eldar frequently replacing lost limbs with wraithbone equivalents. 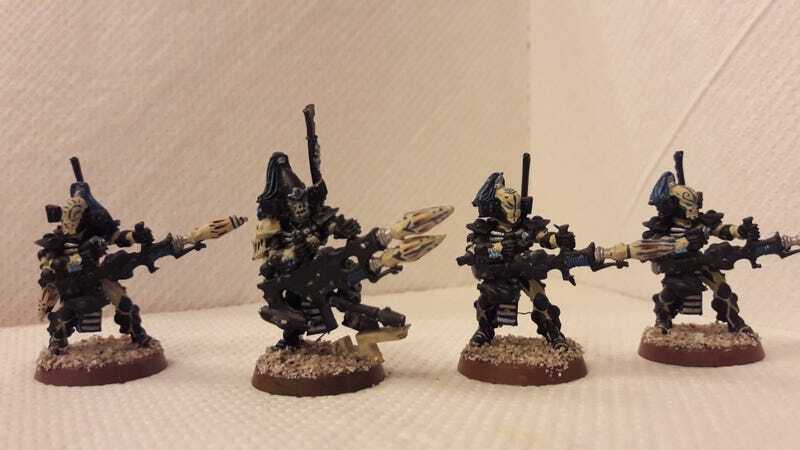 In extreme cases, very little of the original eldar remains. 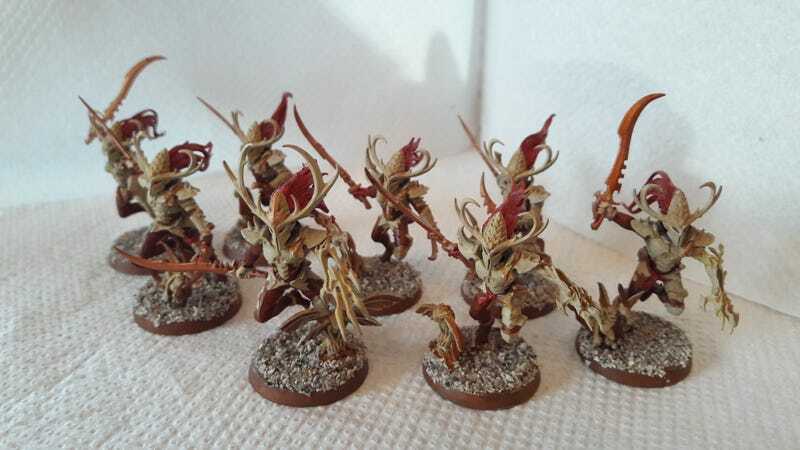 These near-resurrected eldar are known as Sylphs, and are formidable with their new wraithbone bodies. 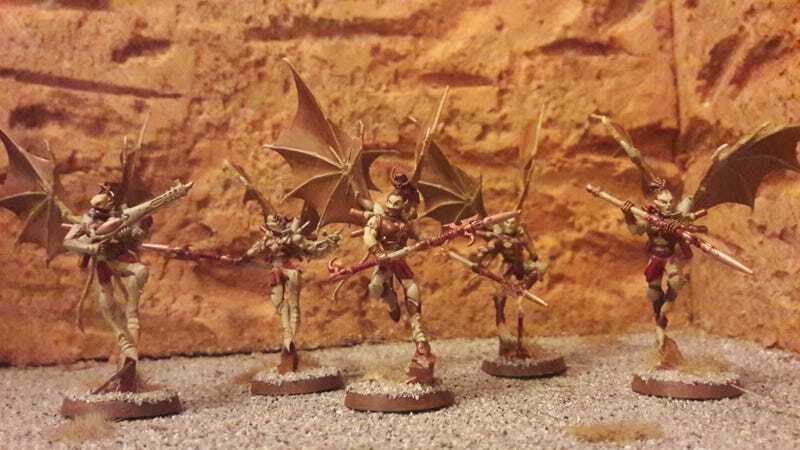 However, to use Dark Eldar units in the army I'd need an HQ, so I came up with the Daughter of Khaine (counts-as Succubus). The fluff is that due to the distance between the exodite worlds and the epicentre of the fall, only smaller shards of Khaine fell onto the maiden worlds. 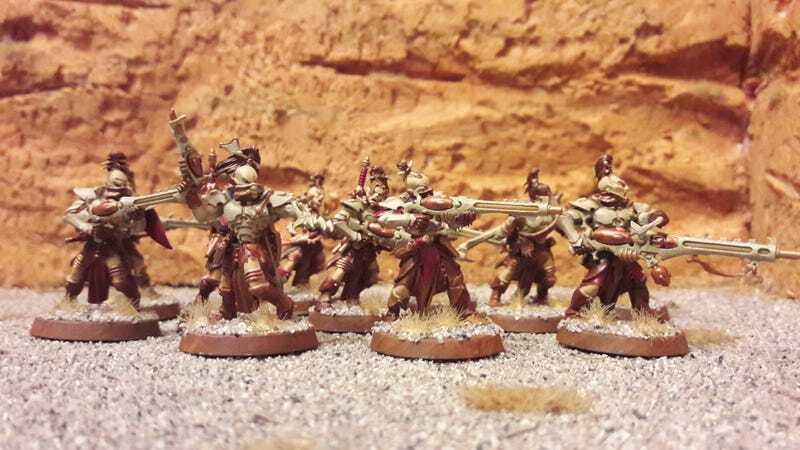 These shards formed ornate and archaic suits or armour that, when donned by a sacrificial exodite, imbues them with a portion of Khaine's martial prowess however, once the armour is worn, the exodite may never remove it. 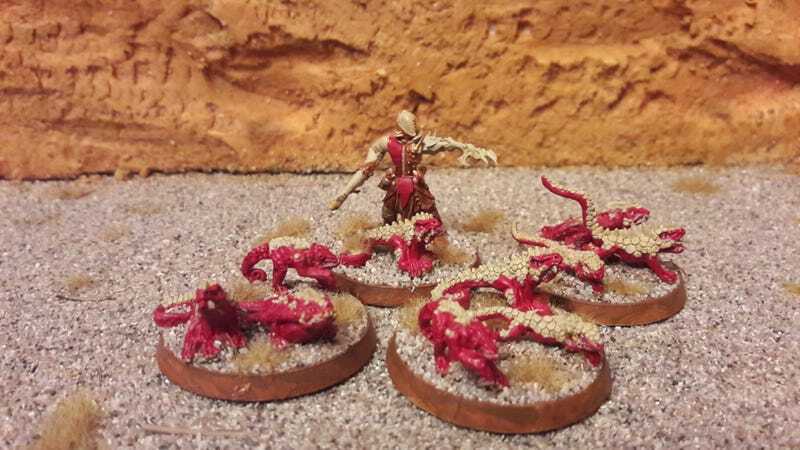 They become a living embodiment of khaine until the day they fall in battle, or the fire of Khaine's wrath consumes them and burns out their soul. Penultimately, following on from the Lizardmen Pteradactyl model I had to do something with the kickass Scourge bat wings. Enter Exodite Terradons! 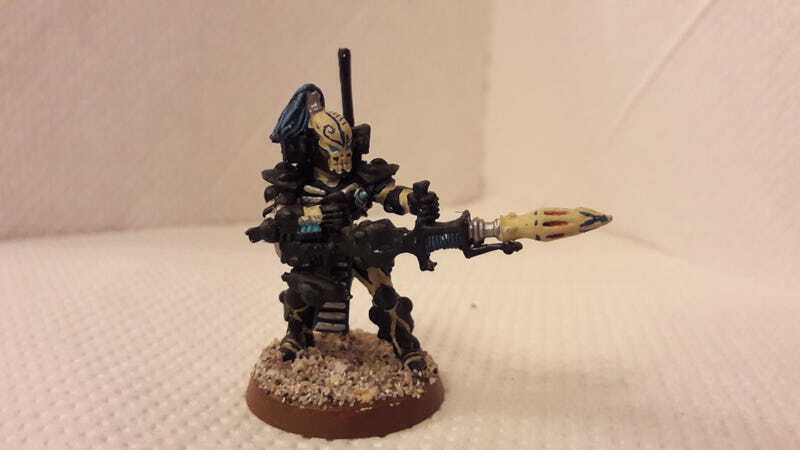 While all exodites are culturally regressed compared to other eldar, some bloodlines have devolved yet further. Using technomancy retained through the generations, they significantly alter their bodies and live more animalistic lives than even their fellow exodites. On leathery wings they soar through the jungle canopies and clifftop crags of the maiden worlds. The increased effort of true powered flight necessitates a carnivorous diet, and kindreds of these winged hunters prey on the animals of their home territories. However, their hunting grounds are not restricted to just their worlds. Often they strike out through the webway, seeking the challenge of hunting the primitive Mon-Keigh or the brutish Orkead. With haywire lances they cripple the vehicles of their quarry, and with heat lances and poisoned weaponry they cut down their foes, carrying trophies from the hunt back to their lairs. I've settled on it being a Talos. Partially because it's not quite tall enough to be a Wraithknight, and partly due to philosophical reasons (why has Apocalypse corrupted my skirmish-level infantry game?). 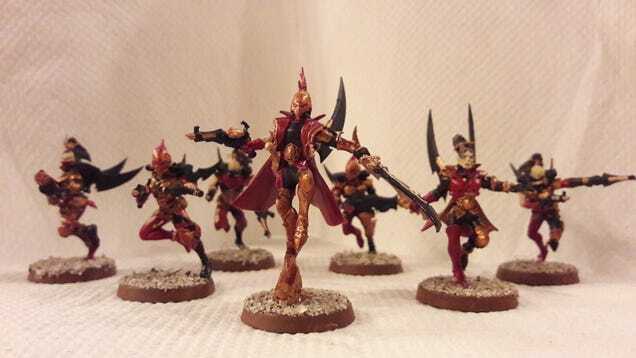 The concept is that a very few of the Eldar who survived past the initial birth-scream of Slaanesh revelled in the destruction of their race and gave themselves completely and willingly to her service (either that or they're a few of the most dedicated and depraved pleasure-cultists who even in her first few moments managed to impress the Prince of Pleasure and were resurrected as favoured pets). 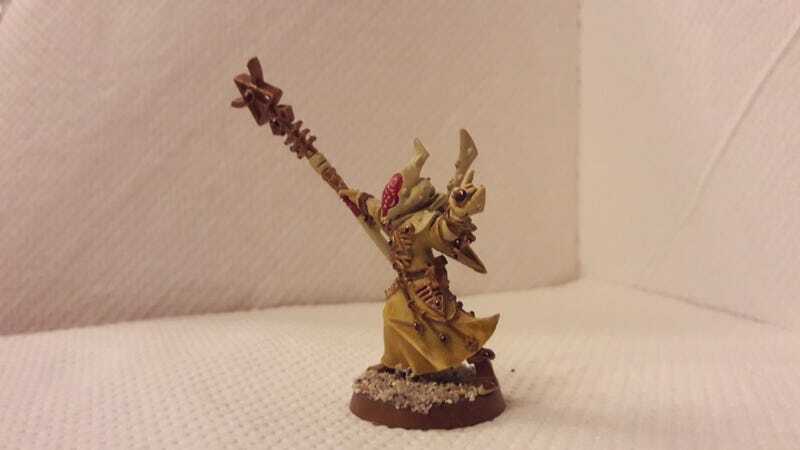 These few corrupted Eldar are formidable psykers, exploring the full potential of their power augmented by the ruinous powers, unfettered by the wards that Farseers use to hide from She-Who-Thirsts. 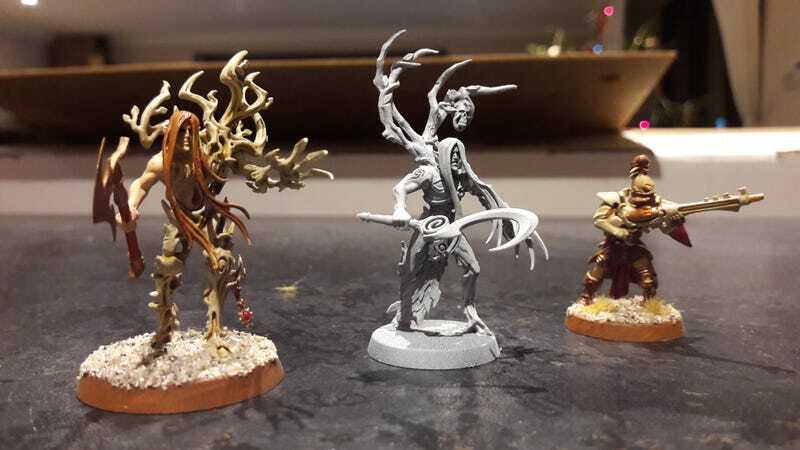 To give it a completely different flavour to Craftworlders, Exodites or the True Kin I thought I'd use the Chaos Daemons codex to represent them (with a little added from CSM). Right, so the first aspect of Croneworld culture is the Cronelord. Fluff: Cronelords are the lords and masters of their daemonic Crone Worlds. 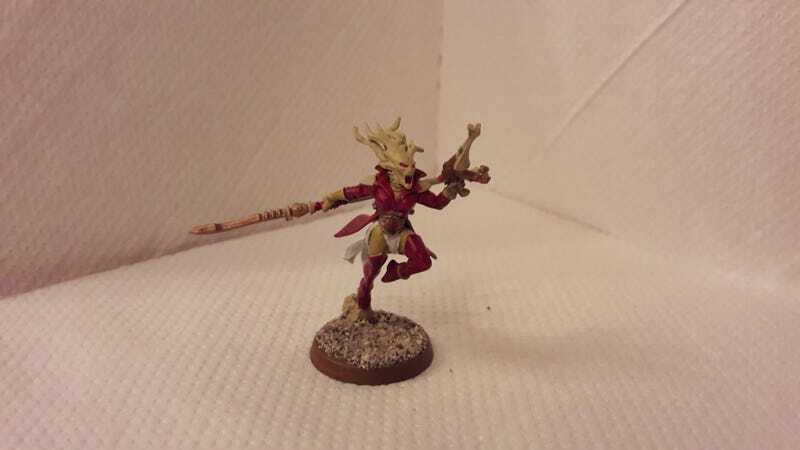 These few corrupted Eldar are formidable psykers, exploring the full potential of their power augmented by the ruinous powers, unfettered by the wards that Farseers use to hide from She-Who-Thirsts. The second aspect of Croneworld culture is the mortal minions the descendants of the most depraved pleasure cults who are let live as pure amusement for Slaanesh. There are a couple of units I've come up with for these. 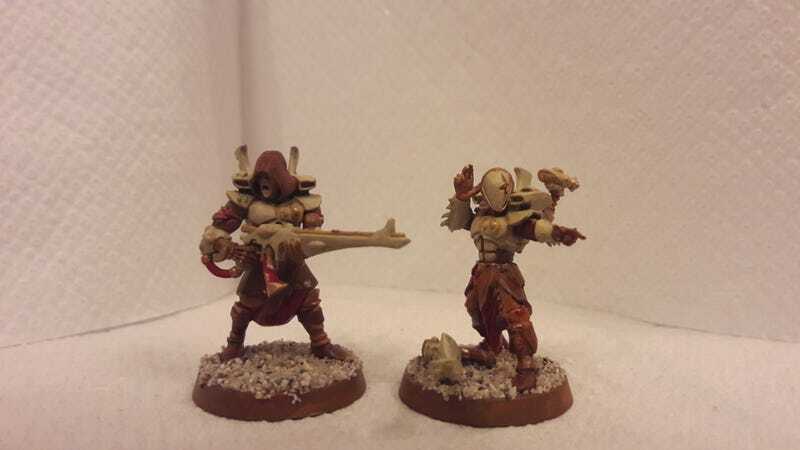 Fluff: The remains of the most dedicated pleasure cultists of the old Eldar Empire. Spared by Slaanesh they live still on a few worlds at the old core of the Eldar empire. Obsessed beyond the point of madness with depraved pleasure and martial splendour they live their immortal lives in constant revelry and slaughter. Honing their combat skills to perfection they hurl themselves at the ranks of their enemies, rending flesh and armour alike with blades wreathed in fell warp energies. 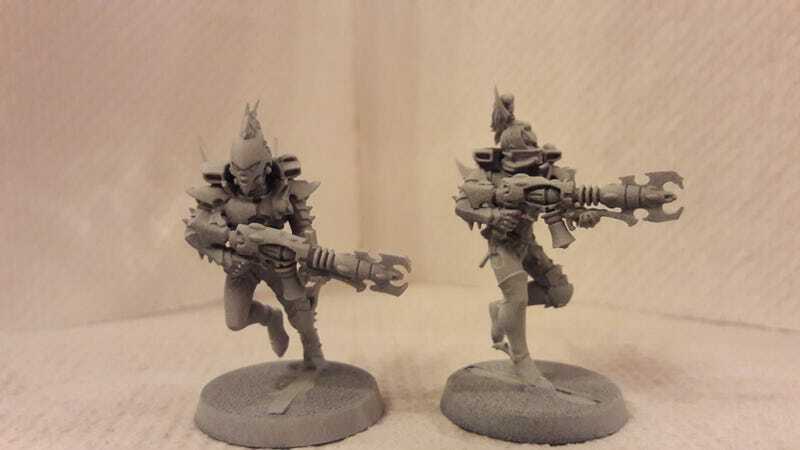 Modelling ideas: The good staple Wych legs (love the dynamism), with Dark Elf Corsair front torsos and OOP Dark Elf Spearmen heads to make them look Eldar, but distinctly different to Craftworlders, Exodites and True Kin. Dark Elf Doomfire Warlock weapons look crooked and warped enough as well. Throw in some Daemonette arms and heads every now and then and voila! Fluff: Considered a gift bestowed by their Crone Lord, some Croneworld Cultists are formed into living conduits for the energies of the warp. These hapless individuals unleash great blasts of eldritch energy, annihilating their foes. Understandably this has a detrimental effect on their martial skills, constantly battling to hold their beings intact as fell energies pour through them into the material world. Modelling ideas: Maybe High Elf archer legs. Doomfire Warlock masks. If the torso from Doomfire Warlocks works I'll use that. If not any suggestions for a bare elf torso I can easily get 10 of? Fluff: Through their actions, some Cultists gain the favour of She-Who-Thirsts. 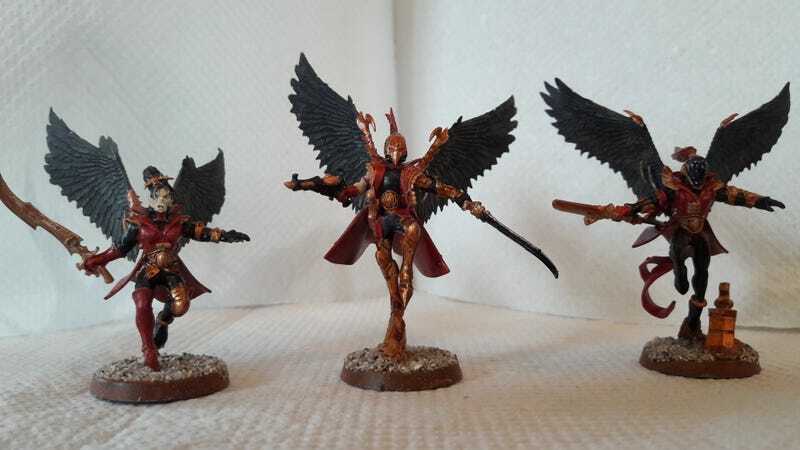 They are blessed with formidable skill and power, although Slaanesh is a fickle patron. One single stumble and they can be devoured whole. Modelling ideas: Not sure as yet beyond the OOP fantasy Champion of Slaanesh helmet that I have. Maybe 4 arms? Fluff: The Croneweavers are powerful psykers beneath the Crone Lords. 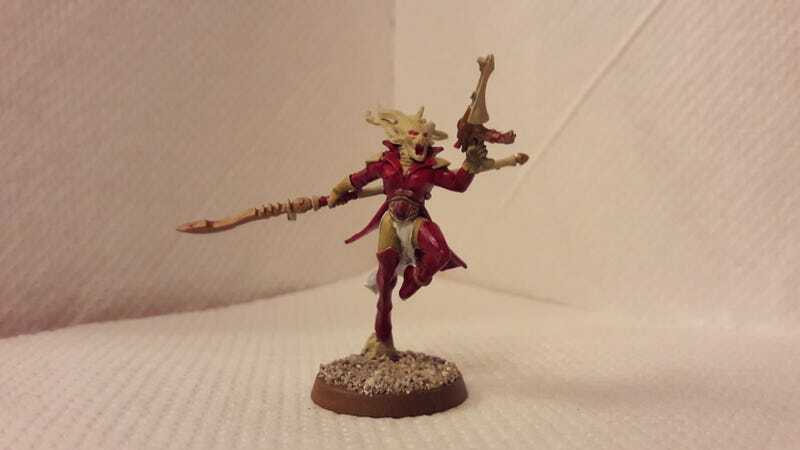 Formally a psyker cult dedicated to Morai-Heg in pre-fall Eldar society, as she was devoured by Slaanesh they were cursed by their patron for their part in her demise. Their once-upright stature and lithe bodies were crippled, resulting in the bitter and twisted creatures they are today. For beings so dedicated to beauty and perfection as the Eldar, such a curse would be unbearable. Perhaps that is the reason they persist. A perfect vengeance is sweet in itself. Modelling ideas: I've got this vision of a hunched over, cloaked figure that looks like an old hag or crone. 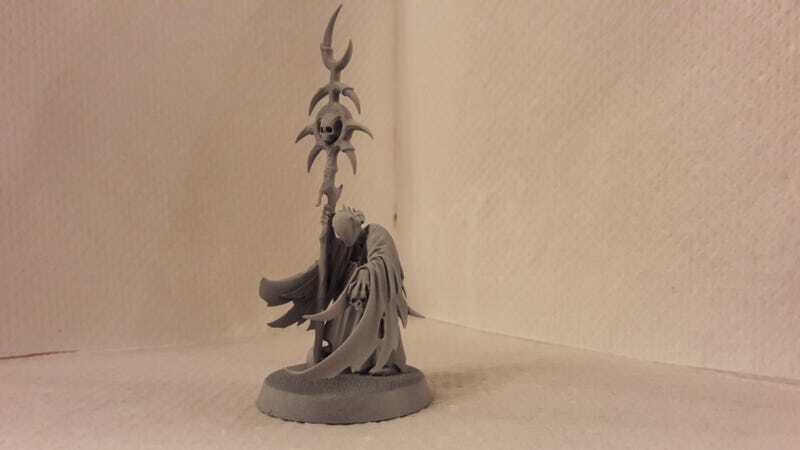 I've ordered an AoS Necromancer that I'll cut up and have a play about with an AoS Banshee would be a second option. At the Whim of a Fickle God: Being as they are the transitory playthings of She-Who-Thirsts, the lives of the Croneworld Eldar exist only at her pleasure. As such, they can live and die and live again at the fickle whims of their patron. Even as they charge towards their enemies, a step wrong and a light stumble can be enough to invoke the ire of the Prince of Perfection causing them to drop as a lifeless husk upon the battlefield. Conversely, if their actions somehow please their lord they could find themselves, or her whims simply swing the other way, they could find themselves thrust back onto the mortal coil, rising from their resting place to do the dance of battle oncemore. Onto the other part of Croneworld Eldar, and the bit that explores their pre-Fall society/technology a little. During the War in Heaven, the Old Ones created many races to do battle against the dread forces of the C'tan. As the warp was anathema to the C'tan, the Old Ones crafted a race specifically designed to weaponise the considerable power of the warp. That race was the Eldar. On ancient battlefields long-since forgotten, the early Eldar waged war against the metallic Necrons. 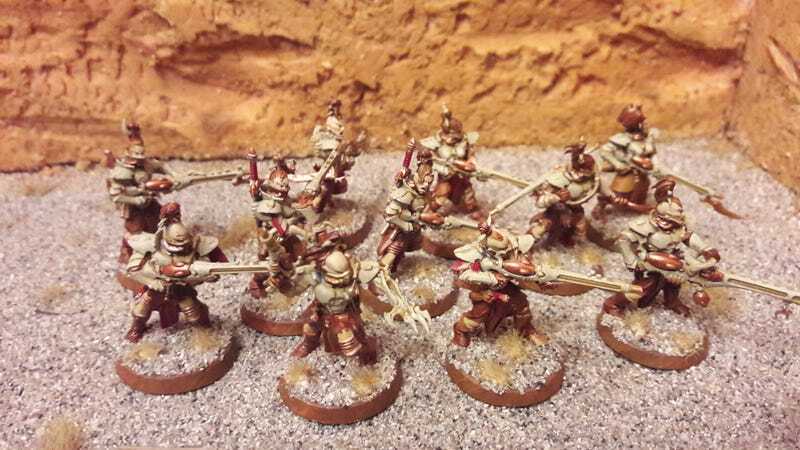 Using their formidable psychic might they manifested great warhosts to march alongside their mortal warriors. In the millenia since the fall, this technology has been lost and forgotten, being suicidal under the gaze of She-Who-Thirsts. The last remaining aspect of this technomancy to remain is the construction of wraithbone, it being energy drawn directly from the warp and solidified. The greatest technomancy of the Eldar, lost. Lost to all but those that remain on the Eldar homeworlds within the Eye of Terror. Fluff: These summoned warriors are the basic soldiers of the summoned hosts. Tougher and stronger than any mortal Eldar, and armed with arcane weaponry they are formidable foes. Fluff: Vicious clawed fiends that can fade in and out of reality at whim, these Aetherconstructs warp into the battlefield and immediately set about rending the enemy limb-from-limb, screaming in eldritch voices. Fluff: The most mighty of the pre-fall Eldar warp constructs, these towering beings of pure destruction cut great swathes through the battlefield. The idea that led me to these was thinking about Wraithguard in the context of some fluff I'd read about Eldar summoning constructs to do the heavy-lifting in their empire/fight the War in Heaven. Pre-Fall, the Cult of Morai-Heg played a pivotal role in the Fall of the Eldar. During the War in Heaven Lileath received a vision where Khaine was torn apart by the mortal Eldar. 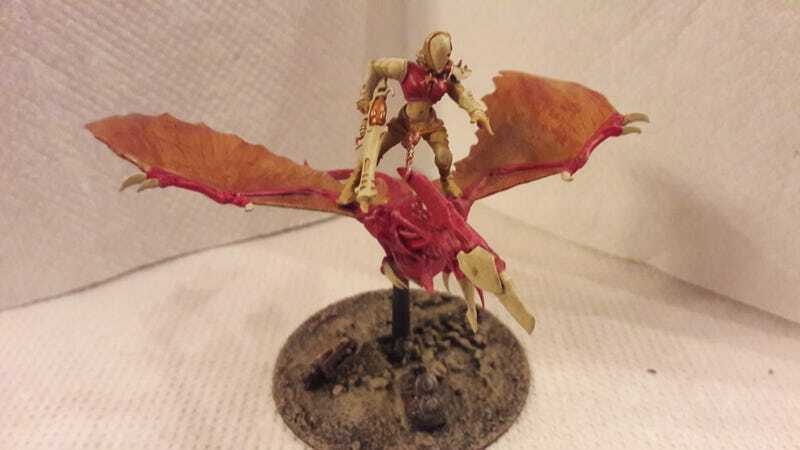 In efforts to prevent this, Khaine attempted to wipe out the Eldar and reaped a bloody toll before he was pacified. By the time the Eldar Empire had reached the height of its power no mortal race could match them in battle. 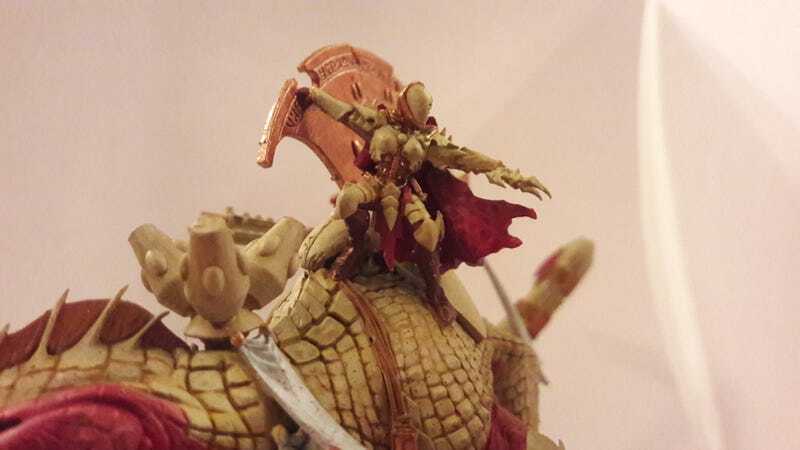 However, the Cult of Morai-Heg, as the knowledge-keepers of the pre-Fall empire, still remembered well how close Khaine had come to annihilating their race. Heeding Lileath's prophecy that the power to defeat Khaine, the last true threat to the Eldar, lay within their grasp they set about engineering his demise in secret. Sensing the growing power within the warp as a product of the pleasure cults, they began to see that this new power was the key to this prophecy. 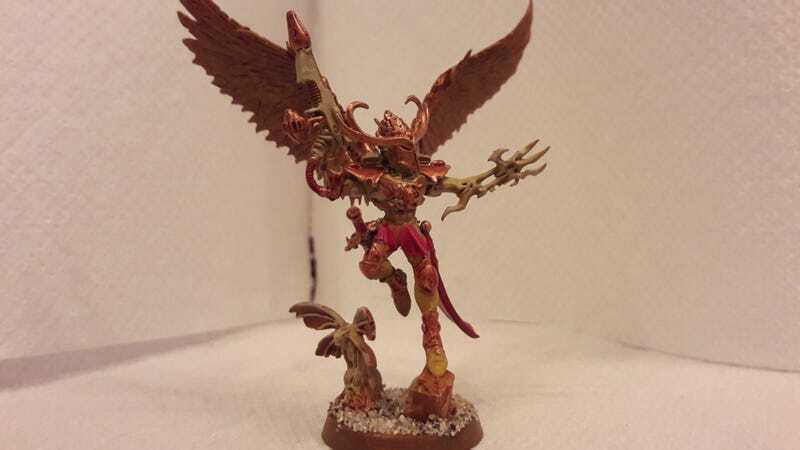 In their eyes, this new Eldar god would banish Khaine forever, bringing an end to warfare forever and heralding a new age of peace, prosperity and pleasure for the Eldar race. Fearing her interference, the high priestess' deceived the seer-god Morai-Heg about their actions, blinding her to the impending destruction of her fellow god. For their part in her demise they were cursed by their patron. Their once-upright stature and lithe bodies were crippled, resulting in the bitter and twisted creatures they are today. For beings so dedicated to beauty and perfection as the Eldar, such a curse would be unbearable. Perhaps that is the reason She-Who-Thirsts permits them to persist. A perfect vengeance is sweet in itself. Wow the amount of talent on show here is just staggering as is your level of immersion into your army. I really admire your conversion skills. Wow! Where to begin!? This is a fantastic army... very smooth and cohesive approach in every aspect. First off... great color choices. Love the mix of high and low contrast colors and the paint jobs are very, very nice. The modeling is really excellent as well. 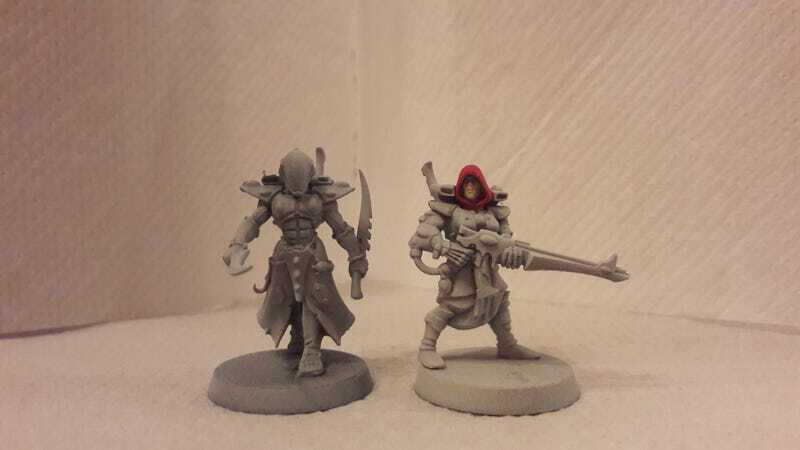 Super clean, smooth kitbashes and conversions across the board. 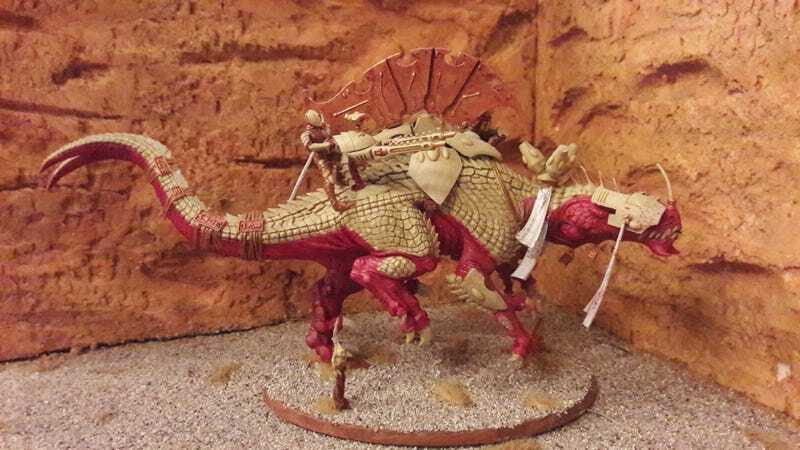 This is an all out hobby blitzkrieg pulled off with great consistency and great execution. 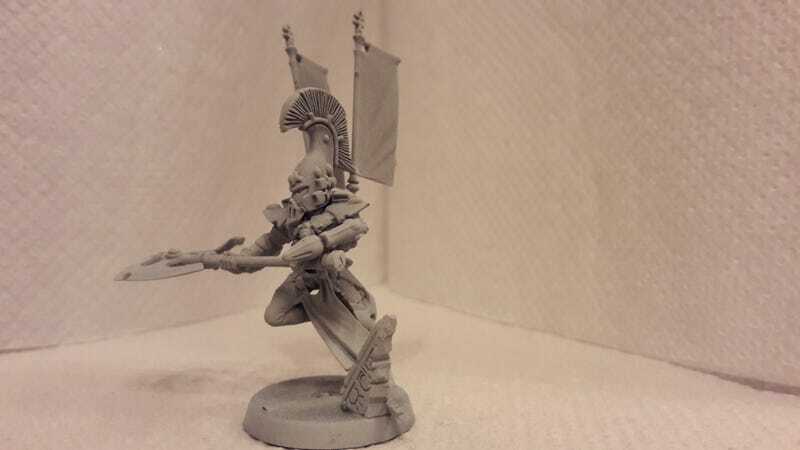 My favorite units are the Seeker unit, the Cult of Kurnous (fantastic modeling, the poses are fantastic! and paint jobs!) and the mini-Avatar. Fantastic kitbashes here and great paint jobs! Also the CWE units at the top are fantastic as well, love all the glyphs and designs. Truly top-notch! As for the Croneworld stuff check out my buddy Ibushi's project log. He's used some ingenious kitbashes to pull of his army. Very nice stuff indeed! Anyway fantastic work all round Ynnead. Thanks for sharing its truly a sight to behold! Please feel free to share bat-reps, and what ever other projects and other photos you may have taken. I love this stuff its truly unique. Thanks! Wowzers! That's a heck of a first project post Ynnead! The volume of work really puts a lot of people (me included) to shame. Impressive commitment to the hobby! I think that the whole style of the army is really good. It looks like a great, cohesive force, which is really difficult to do when you kit bash a lot of it. As it is, there are common traits throughout the army that make it all reflect and compliment each other. 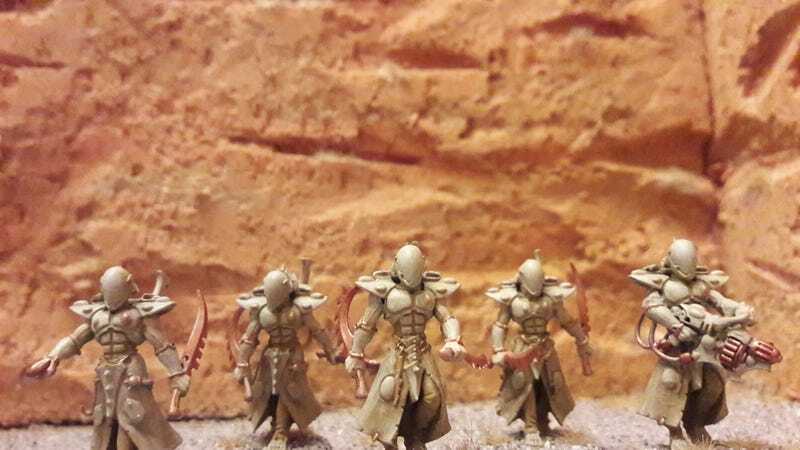 My personal favourite at the moment are the Ennead Walkers. Those things look absolutely badass. 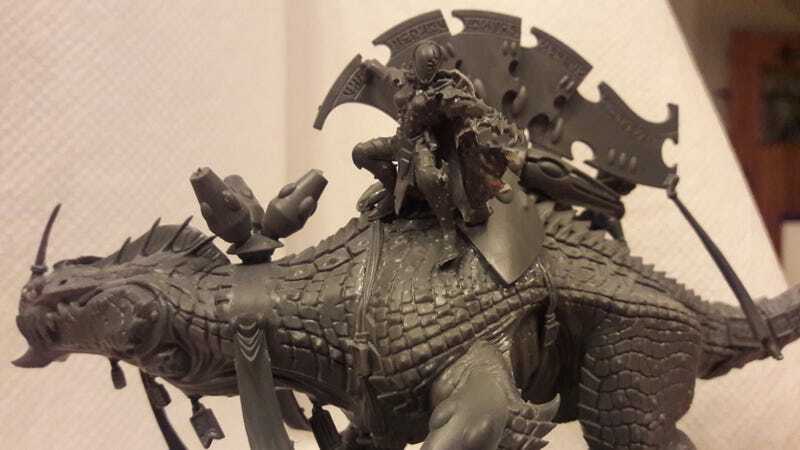 I love that in an army known for it's dextrous movement and agility, you have managed to include a walking unit that fits absolutely perfectly whilst looking incredibly tough. Not an easy feat when using Eldar as a base. Lovely work, I really look forward to seeing this project as it develops! No batreps as yet as I'm still getting back into things really, although it's definitely an omission I want to get sorted soon! It was high priests of the temple of Isha that originally called for the exodus of Eldar to the maiden world of Selesti. Their new worlds were built in her honour, and all life upon them flourished. However, the healthy splendour of these worlds was too much for Papa Nurgle to resist, and he unleashed one of his many gifts upon this world. 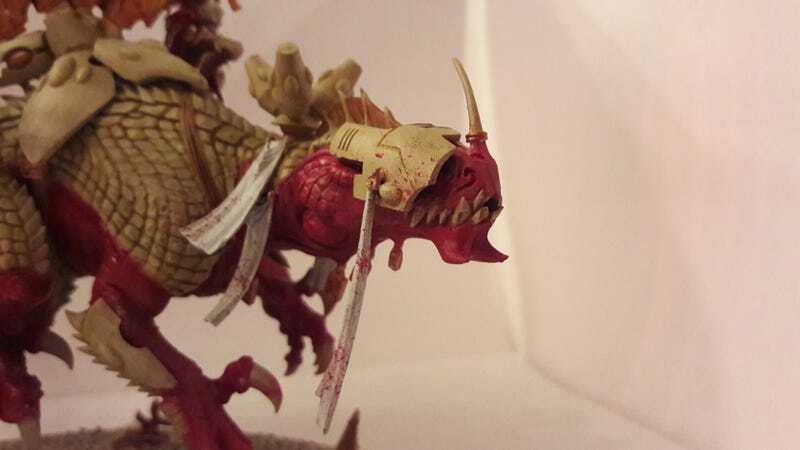 Only by excising the infected tissue and replacing it with wraithbone could the Selestini hold back the inevitable doom of their world. Their salvation came in the dreams of their seers. Isha, held captive by Nurgle, had heard her children's plight. She whispered the cure to her daughters, and saved their kingdoms. However, the scars of this event are still evident among the Selestini. To this day, any impurity or imperfection in their bodies is replaced with wraithbone, and great forests of petrified trees lie on barren soil. The gifts of the Lord of Decay reap a heavy toll. Loving these, Ynneadwraith! Their mythology was one of the things that really drew me to Eldar when I first got into 40k. Wow, what a way to introduce yourself to the forum!! Absolutely loving some of these kitbashes, the Cult of Kurnous has to be the one that really jumps out on me, the kits mesh so well that it doesn't look like a Kitbash at all, it flows perfectly! 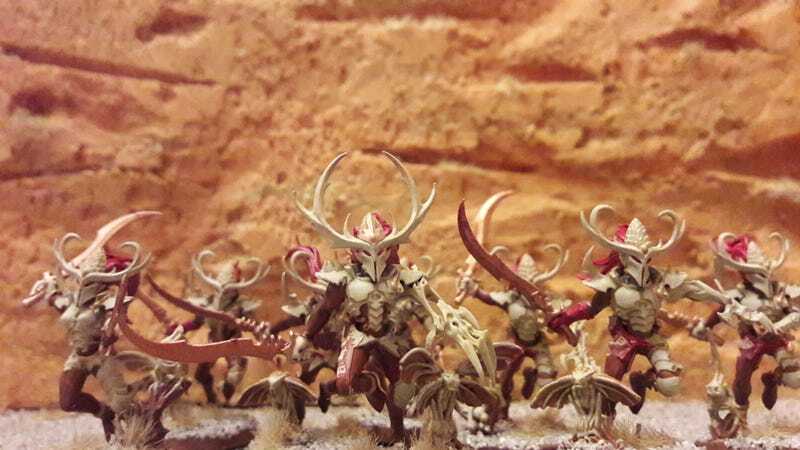 Loving the concept of the Croneworld army as well, you've obviously put a lot of thought and planning into it, can't wait to see what comes from it! This is a thread that I think I will be visiting very regularly! Damn I love that new photo! So statuesque! Love that hooded head where'd you get it? Glade Guard? Great stuff man, so happy your on these project logs. Keep it up! Wow, just wow. Excellent kitbashing and I love that you have not one, but three armies that all work on a central theme. Can't wait to see what you come up with next. Actually, I'd quite like some input into how to make them look Chaosy, but not full-on mutated. I tried a test model with a pair of Daemonette claws but it didn't really get the look I was after. I'm picturing something along the lines of a dancer band made up of beautiful Pleasure Cultists, with lots of flowing ribbons and suchlike. 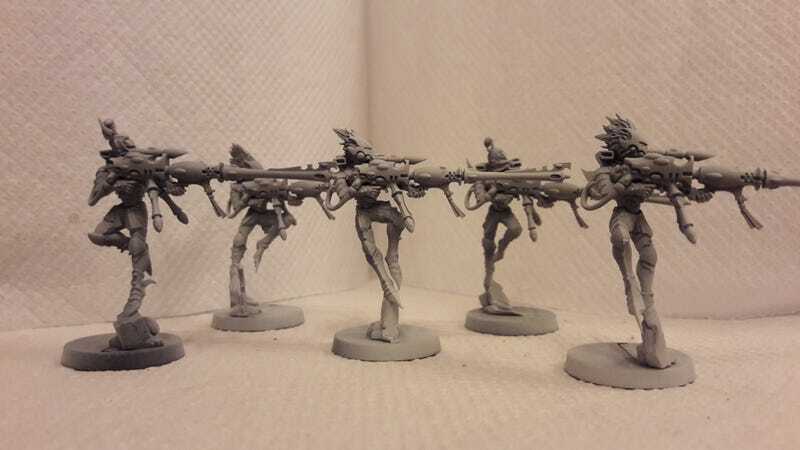 Sort of like Harlequins gone bad. If anyone knows of a bare-chested male torso that would fit at least half-decently on Harlequin legs I've be very grateful! For my Archon I've never really like the 'just about to be mummified' crossed arms pose, so went for sort of 'drinking in the atmosphere of the battle, reveling in the carnage'. Perched upon a spur jutting over the battlefield, he closed his eyes and inhaled deeply. The sharp tang of blood filtered through his jaded olfactory nerves and he drank in the carnage below. Below him, the belated reinforcements were arriving. Spying the remains of the XIth scattered across the valley, the Commissar bellowed his orders. With a crackle of interference, the cloaked figure tested his pet Haemonculus' latest whimsy. Booming from the platoon's vox-casters, an alien voice declared in broken Gothic: "I am Khaharkyth the Carrion Lord. Look upon my artworks and despair!" As the final guttural syllables were echoing in the air, the Archon tipped forwards and dove off the precipice. With a sickening crunch he landed square on the shotgun-brute below, cracking its spine beneath an armoured knee. The Commissar spun around, power sword buzzing into life. "My soul-trap is hungry, plaything." the vox-casters echoed. That Archon looks super sweet bud, great work on that guy. I never was a fan of the crossed arms look...not in an age of dynamic posing. You have done a great job of bringing more animation and life to what was a fairly dull pose. 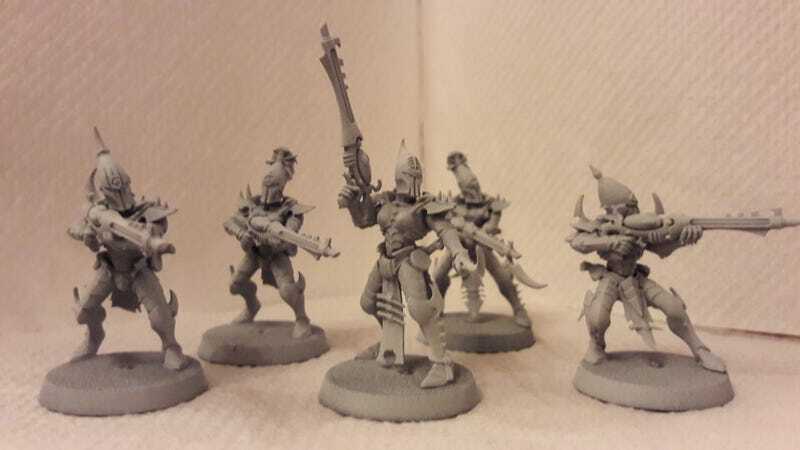 I'm not particularly familiar with the Dark Eldar sets, but I'm guessing that you didn't do anything to the Cabalites other than build them...and yet they look fantastic. I'm particularly fond of the Squad Leader at the front with the 'Who dares beslubber with me?' pose. Great work, keep it coming! Fantastic stuff yet again. That Archon is glorious! Also thanks for the tip on the hooded head. Gotta get some! 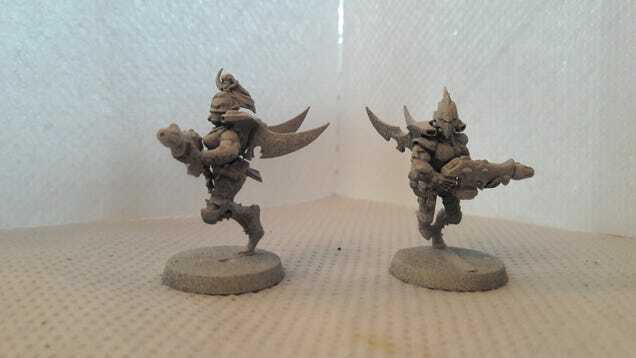 They'd be perfect for Corsair Ghostwalkers. Anyway keep up the great work buddy, you are rolling! Tried a white background, but no different really. Need better light. 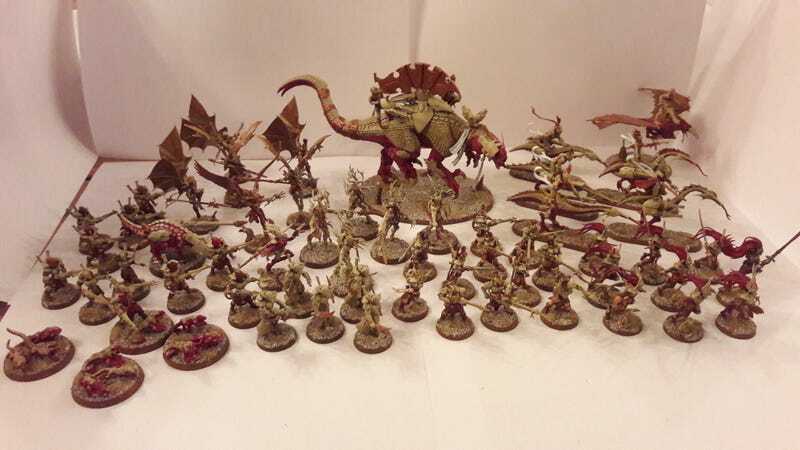 Oh, and took the opportunity for a full army shot (apologies for the potato-cam!). 1402pts! Just a very cool looking force all round. Very cohesive... keep up the great work bud you are killing it! While I was making it I spent a while conflicted as to whether it should be a Talos or a Wraithknight (it's inbetween the two in size), but settled on it being a Talos. You've really nailed the Exodite aesthetic with these guys. I agree with Cav on the blood splatter on the big guy, looks just enough! 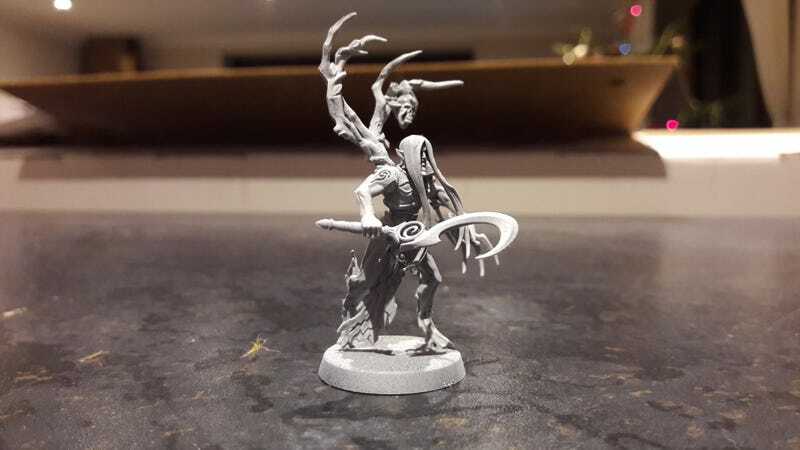 Only issue now is that in comparison my Wyrdlord doesn't look quite so 'wyrd'...might have to revisit him (and maybe the War Wyrd too). If you had told me that he was produced by GW as a kit, I would have believed you. 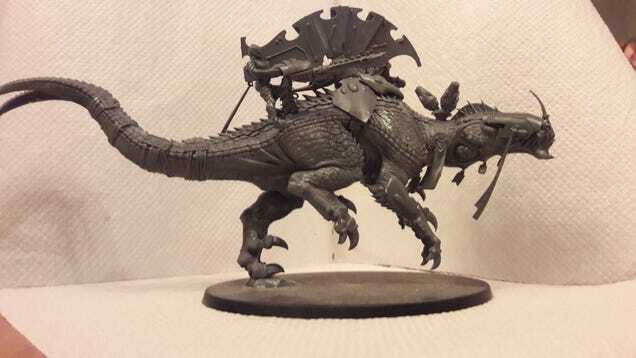 I can't give out higher praise when looking at converted minis. Stunning. Wow great model! Perfect counts-as Bonesinger. His scale would make him fit right in with a unit of Wraithguard. Very cool! The paint job looks good too though its a little shadowy so hard to offer to much input on that. But great stuff man really dig the model!